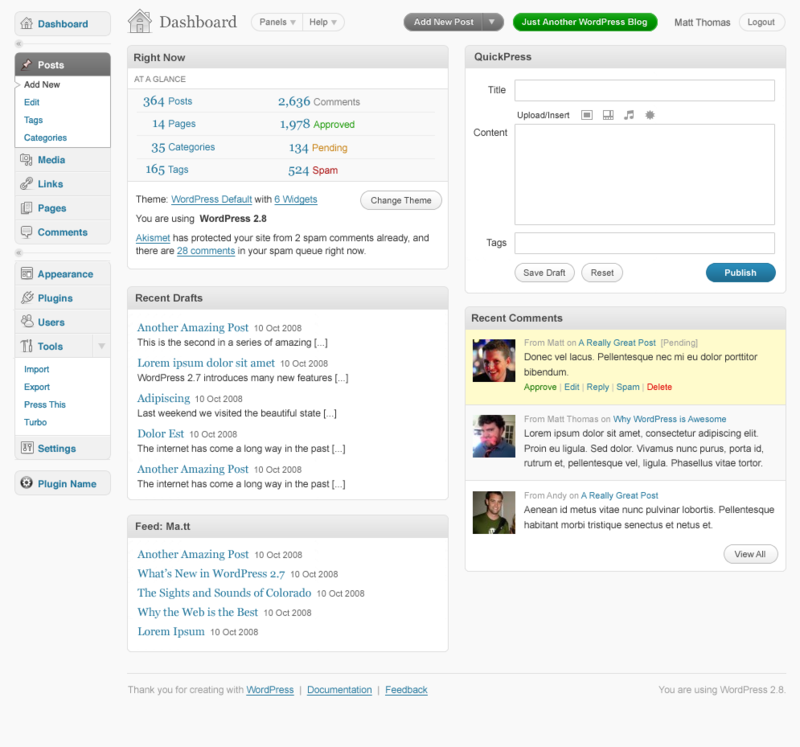 One of the important ideas behind the WordPress 2.7 administration area redesign was to maximize the amount of information and input fields above the ‘fold’. While the current design does the job well, there is still some room for improvements. You know the title of your blog very well, therefore it is unnecessary to make it so large. If you have several blogs, it is important to be able to distinguish in which admin area you are currently in. 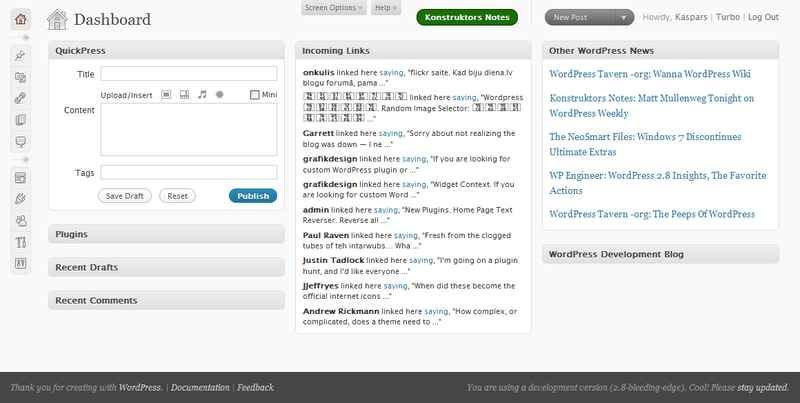 To do so, we make the background color of the blog title different for each blog (green, in the screenshot above). Install the Admin CSS plugin. 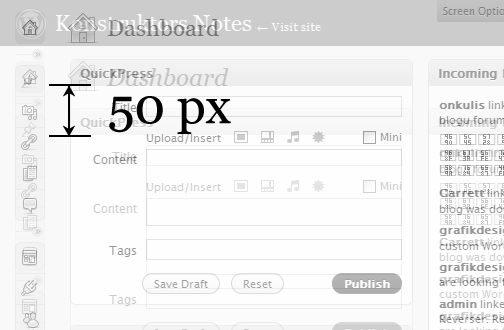 It is worth noting that the horizontal order of the items in the header is very limited due to the current HTML structure of the page — blog title, favorite actions and user links are placed inside #wphead while page title and screen options are inside #wpbody, which is below it. This is how I would like the admin header area to look like, if it would be possible to change the underlying HTML structure. Notice that I have renamed Screen Settings to Panels and placed it into a pill button together with Help. What do you think of this tweaked design? Let me know, leave a comment.